Azzi, Stephen. "Election 1988". 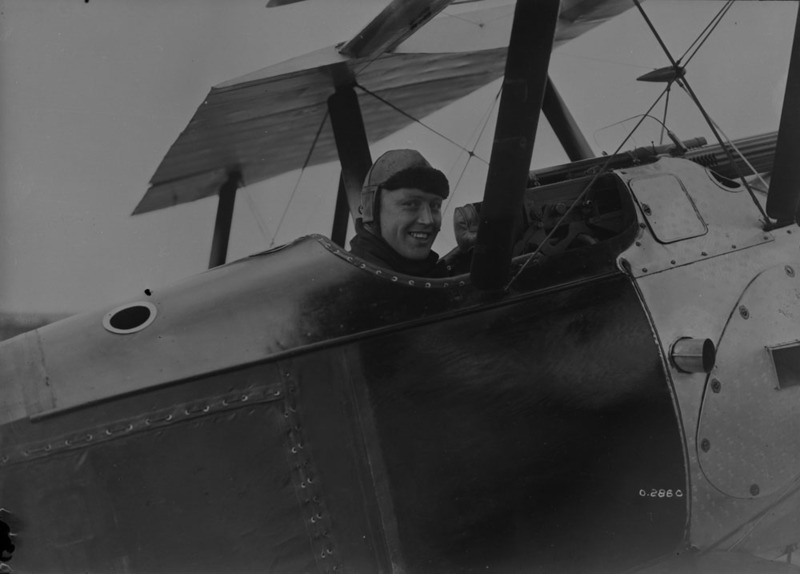 The Canadian Encyclopedia, 02 September 2015, Historica Canada. https://www.thecanadianencyclopedia.ca/en/article/election-1988-feature. Accessed 19 April 2019. ​The 1988 federal election was the last in Canada to be fought over a big, overarching, national idea — in this case, free trade with the United States. 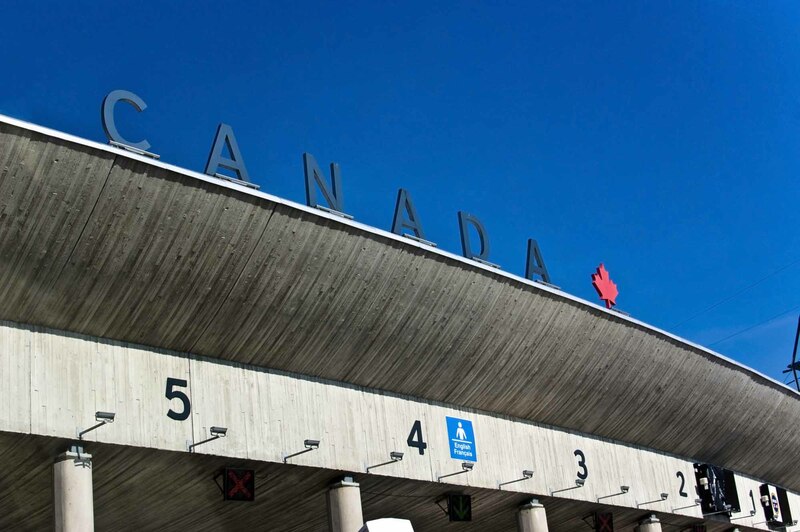 The 1988 federal election was the last in Canada to be fought over a big, overarching, national idea — in this case, free trade with the United States. It featured a gripping and passionate televised debate between John Turner and Brian Mulroney, who would ultimately defeat his opponent, becoming the first Canadian leader in 30 years to win back-to-back majority governments. 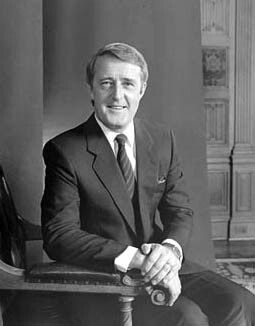 Although scandals and patronage had damaged his popularity after he became prime minister in 1984, Brian Mulroney had begun to recover in his fourth year in office. 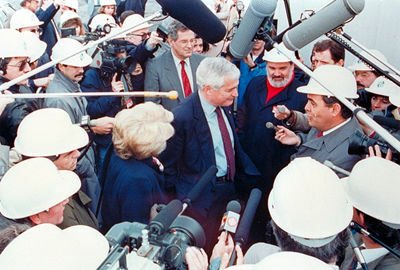 In 1987, the Prime Minister and the premiers had put an end to the long-standing battles between Ottawa and Québec City. 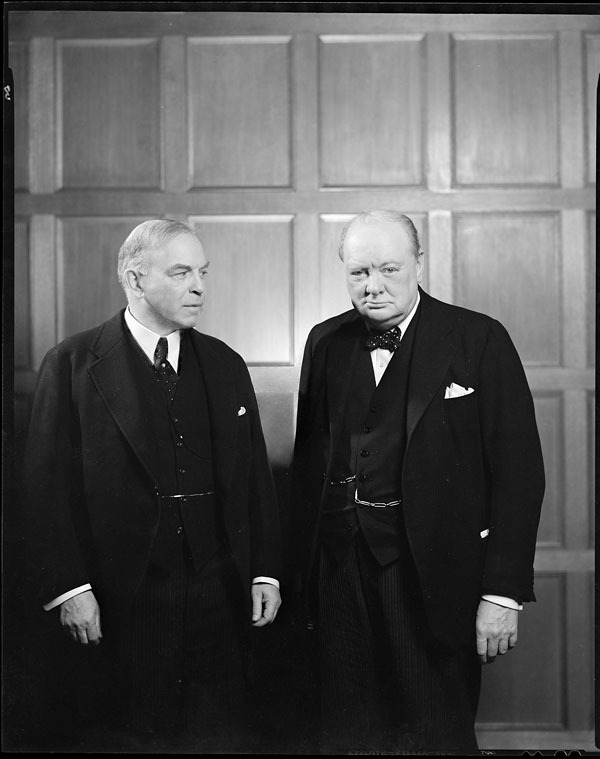 In the Meech Lake Accord, they agreed to amend the Constitution to recognize Québec as a distinct society and to allow all provinces a greater role in the appointment of senators and Supreme Court judges. 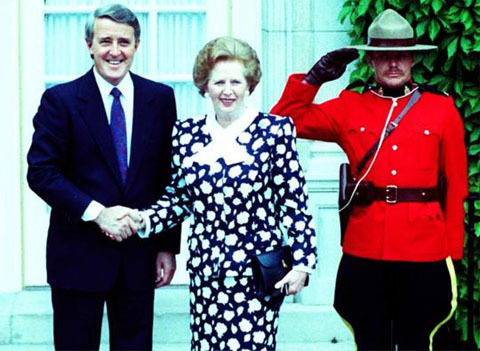 Then in 1988, Canada and the United States reached an agreement on free trade, which Mulroney promised would increase Canadian prosperity. 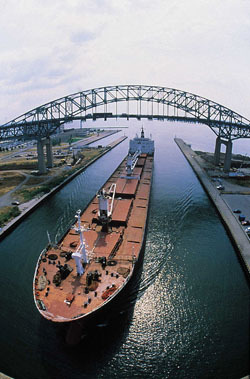 A freighter enters a canal along the St Lawrence Seaway (courtesy Roger Bottling). A poll released less than a week before the election call showed the Progressive Conservatives well ahead of the two other parties. The Liberals were in third place, partly because of leadership problems. In his four years as Liberal chief, John Turner appeared weak and indecisive, unable to manage his own caucus. Some pundits were predicting that his party would permanently drop to third-party status as had the British Liberals years earlier. The Liberal image continued to deteriorate after the election was called on 1 October. Despite piercing back pain, Turner performed well before the crowds, but the media gave the impression of a failing campaign. A botched announcement on childcare led to questions about the competence of the Liberal team. Turner's chief of staff responded by losing his temper, screaming and swearing at reporters, which only made matters worse. When some high-ranking Liberals talked about the possibility of a Turner resignation mid-campaign because of his health problems, the CBC aired a misleading story that made it look as though party officials had staged a failed coup. John Turner surrounded by reporters (photo by Hans Deryk/Canapress). The leaders' debates would be critical. 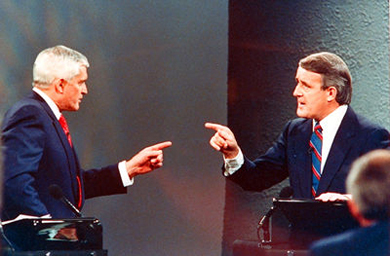 Mulroney had crushed Turner in the 1984 television debate, and all signs pointed to a repeat in 1988. Turner performed poorly in the rehearsals that his aides had staged for him, and they worried about what would happen when the cameras were turned on. But Turner surprised even his own followers. In the French debates on 24 October, he was controlled and self-assured, forcefully attacking the Tories on their record of giving jobs to every friend in sight. The turning point, however, came the next day in the English debate, when the discussion moved to free trade. Turner touched off a dramatic confrontation by accusing Mulroney of repudiating Canada's independence: "I happen to believe that you have sold us out. I happen to believe that once you..."
"Mr. Turner, just one second," Mulroney interjected. While Turner struggled to continue, Mulroney voiced his indignation: "You do not have a monopoly on patriotism and I resent ... your implication that only you are a Canadian." Ignoring Mulroney's reprimand and repeated interruptions, Turner found the words to tap into English Canada's perennial fear of falling into Uncle Sam's grasping hand. "We built a country east and west and north. We built it on an infrastructure that deliberately resisted the continental pressure of the United States. For 120 years we've done it. With one signature of a pen, you've reversed that, thrown us into the north–south influence of the United States and will reduce us, I am sure, to a colony of the United States, because when the economic levers go the political independence is sure to follow." Mulroney was dismissive, referring to the agreement as "a commercial document that is cancellable on six months' notice." "Commercial document?" Turner was incredulous. 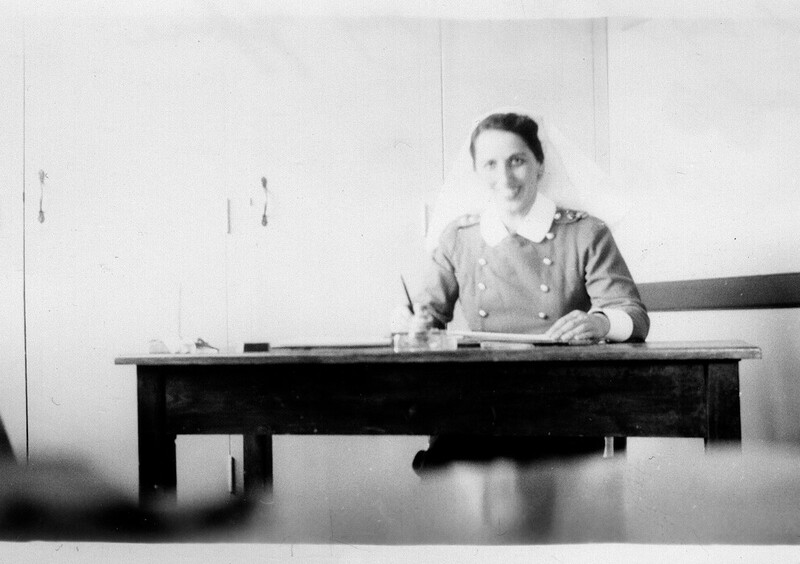 "That document relates to ... every facet of our life!" "Please be serious," Mulroney snorted. "Well, I am serious," Turner countered, "and I've never been more serious in my life." That moment transformed the campaign. Mulroney had appeared defensive and arrogant, while Turner had established free trade as the election's sole issue. The country's future was at stake, Turner had argued, and he would save it. For a week after the debate, the Liberals rose in the polls. By 1 November, they were six points ahead of the Tories. Senior Conservatives decided that they had to smash Turner's credibility, capitalizing on the low level of public confidence in the Liberal leader. Mulroney took on the role of street fighter, aggressively attacking Turner as shameful, deceitful and dishonest. "He wraps himself in the flag," Mulroney scoffed, "in the hope you won't notice he's naked underneath." In response to Turner's assertion that free trade would cost many Canadians their jobs, Mulroney quipped, "It's pretty clear that the only job John Turner is interested in protecting is his own." Tory advertising reinforced the message. Ten days after the debate, the party responded to criticisms of free trade with a pamphlet entitled "Ten Big Lies." One Conservative television spot claimed that Turner "lied to us on free trade and is unable to lead his own party." Aimed at those most likely to respond to the negative message, Conservative ads were broadcast during daytime soap operas. Conservative party pollster Allan Gregg explained the tactic: "I say this without a hint of condescension or of attempting to be patronizing, but there's no other way to say it — we're trying to get the real dumb ones." The Canadian business community, under an umbrella group called the Canadian Alliance for Free Trade and Job Opportunities, provided support to the Conservatives. More than $1 million was poured into an advertising campaign in support of free trade, including a four-page supplement that appeared in more than six million Canadian newspapers. At the same time, several large corporations urged their employees to support the agreement. The Conservative assault convinced many Canadians that Turner opposed free trade because of political opportunism, not personal conviction. "Our numbers are starting to come back," Gregg told Mulroney on 6 November. Five days later, he reported that Mulroney was about to win a majority. On election day, 21 November, the Conservatives won 169 seats, compared with 83 for the Liberals and 43 for the New Democratic Party (NDP). The result fundamentally altered Canadian politics. The free trade deal went ahead, coming into effect on the first day of 1989. In the words of historian Norman Hillmer, it marked "a final recognition of Canada's inevitable destiny as a North American nation." 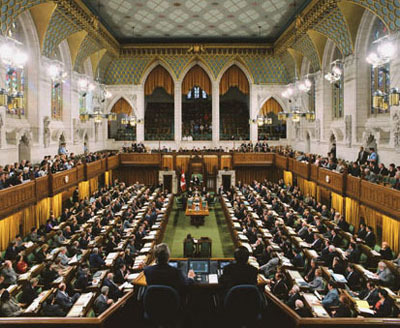 In Ottawa, Mulroney reigned supreme, the first prime minister in 30 years to win two consecutive majorities. Within a few months, both Turner and NDP leader Ed Broadbent announced their resignations. Though the NDP had posted its best result in a federal election, many members were disappointed at not having overtaken the Liberals. From then on, the party would seem content with moral victories and electoral defeats. For his part, Turner had saved the Liberals from oblivion, but could no longer fend off the critics in his own party. He was replaced by Jean Chrétien, who would accept free trade with the United States as an inalterable part of Canada's economic life.